Dave Splash Dot Com: Mr. President, You're Wrong. 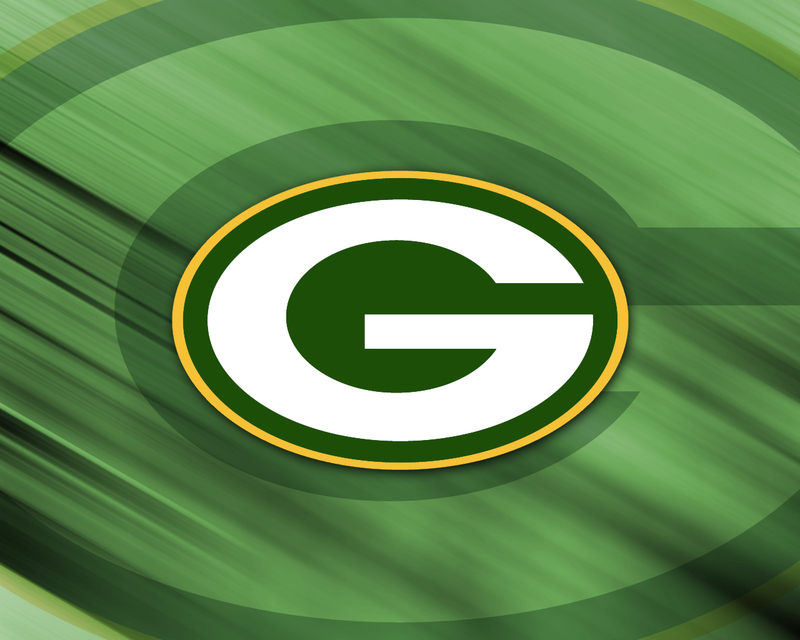 The Packers Are Going to the Superbowl! Mr. President, You're Wrong. The Packers Are Going to the Superbowl! 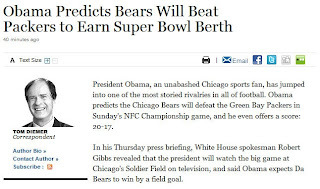 I know that President Obama is from Chicago, so that must be clouding his judgment about Sunday's NFC Championship Game. He is predicting a Bears win, and has even predicted a final score of 20-17. I am not down with this presidential prediction. Being a Packers fan, I, too, will make a prediction. It should be taken as seriously as that of Mr. Obama. I am predicting a Packers win, with a score of 28-20. They have to get past the Jets first. Actually, from an anti-Favre position (which I am in for a while), seeing his two former teams face each other would be awesome. So, for that reason, I'm pulling for a Packers Vs. Jets game. But Pittsburgh is looking hard to beat. Afraid I'm going to have to disagree with you on this, too.